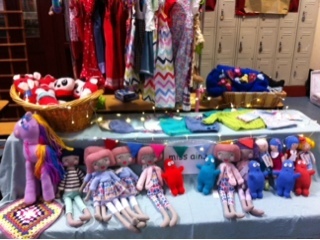 My stall at the market yesterday. Last one done before Christmas. Now I just have to drop the last of the toys into the Artists Gift Gallery on Dawson Street, Dublin, so that Jenni has some more stock. 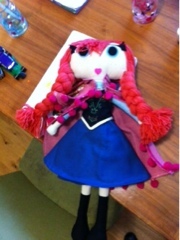 And a little pic of an Anna doll requested through the shop. I hadn't made one of these in over a year so I had to get my daughter's to look at to remind myself! 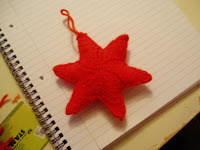 Now on to a few custom orders, and then my own custom Christmas presents! !